Palisade Radio Host, Collin Kettell: Hello everyone. Welcome back to another episode of Palisade Radio. This is your host Collin Kettell. On the line with us today is returning guest, Rick Rule. 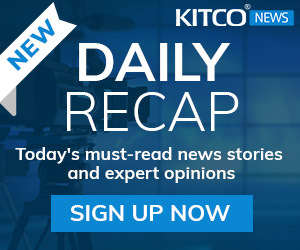 Rick has been kind enough to offer a monthly version of his insight into the markets. This week we are just going to put it out as a normal interview, but starting next month we will be doing this each and every month, middle of the month. Rick, welcome back to the program. Chairman, Sprott US Holdings, Inc., Rick Rule: Collin, it is a pleasure to be with you. CK: All of the listeners that we have here, a lot of them gold bugs, are wondering if the bottom is in in the market particularly in these juniors? We see a lot of them up 30, 50, 75% across the board. Today is a strong day. We are recording on Tuesday, Oct 20th. Rick, what do you think? RR: Well, I am too old and wise to answer that question correctly, Collin. My belief is, because I am philosophically attuned to your listeners, that there is more upside than downside. But we have learned – I in the last forty years, the rest of us in the last four years – that anything can happen in a market like this. If we see further US dollar strength, which I think is possible as opposed to likely, you will see softer precious metals prices. It is interesting to note that the last time that you and I talked we talked about a subject called capitulation. I told you in the context of capitulation that I was afraid of a month called October, because of historic precedence for strange things happening in the month of October. It would appear to me that we are going to get through the month of October without any particular capitulation, which is something that most people would breathe a sigh of relief over. I think another important thing is that you have a market like the TSX-V that was off 87% in real terms. The truth is that the market can double and still be off almost 80% in real terms, which is to say the little 40% on the upside is impressive, but it is not overdone relative to how far the market has fallen. CK: Rick, looking back at the four or five cycles you have been through you must have some type of metric to know if this is likely to be the bottom or not based on how quickly the stocks move off of the bottom. Some indications I have seen from other people’s charts show that you should expect to have a 200% or 300% move within a certain amount of months after the final bottom is in, based on how oversold things are and contrarians coming in to turn the market around. What do you look for to know in the rearview mirror that the bottom is in fact in? When will you be able to call that? RR: Well, in my own experience the most efficient determinant of a junior equity market bottom is capitulation, in particular issuer capitulation, which we have not seen yet. I am not a technical analyst and the question that you are asking might be better off asked to somebody like Paul Wong who is in fact a much better technical trader than I. The really effective determinant for market bottoms that I have seen has been issuer capitulation. We visited I think the last time we interviewed about market bottom that we experienced in the year 2000. The truth is that the junior equities markets did not really recover in 2002. But in the middle of 2000, in the summer of 2000, we had this interesting period of issuer capitulation when the very finest of the mining stock promoters, the Bob Quartermains, the Robert Friedlands, the Ross Beatys of the world all decided to raise money. They all decided to take the dilution they had to because they understood that their ability to deploy capital, the returns that would accrue to deploying capital overcame the pain of issuing stock at those prices. Two interesting things happened as a consequence of that, Collin. One was that the overhang over the stock in anticipation of their needing to raise went away because they raised. The second thing that happened was that they deployed the capital wisely in generating news into a news vacuum. The truth is that when the best of the best raise money they experienced their own bull market fully two years before the rest of the market recovered. Those stocks doubled and then they doubled again. If you double a double it is 400% and it was the success of those early pioneers that I think led to the recovery that the rest of the market enjoyed in 2002. The recovery that those people engendered added both hope and liquidity to a market that had not seen either for four years and I think that is the way out of this market. CK: Rick, for varying reasons, we have discussed in the past that you like silver as an investment over gold in some cases. 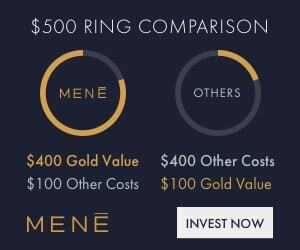 I want to first ask you about the current premiums we are seeing in the silver market, something we touched on before we got on the call. Why are we seeing such high premiums on investment grade silver or silver rounds that people try to buy to store on their vaults? RR: Well I should note that I do not prefer silver over gold. I think that silver is more volatile, so it is probably more appropriate for intelligent speculators. I want to correct that statement. But with regards to the so called silver shortage, we do not actually have a shortage of silver presently. We have a shortage of silver in retail denominations. Retail buying of silver has been very strong in the face of weak industrial demand and in some cases institutional and professional capitulation, which is to say we are short of one ounce coins. We are short of hundred gram bars. We are short of coin blanks, the raw material for minted coins, and we are short of coin strip. We are not short of large denomination bars. The refineries I am sure are working 24/7 melting down larger bars into retail denominations just as they were a year and two years ago in gold business. 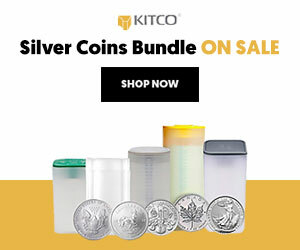 Now one place that we are short I think is in the amount of physical silver that is in place as good delivery against futures contracts in both London and Chicago, but we have been I think perilously thin in inventory on those markets for three or four years and there has not been a short squeeze in those markets. I guess the markets have managed to accommodate it. CK: What significance do you lend to the retail side of the silver market being short right now? It would indicate to me that that means that retail money is coming into the space and maybe that will move over to the equities. What do you think? RR: I think you are 100% accurate. 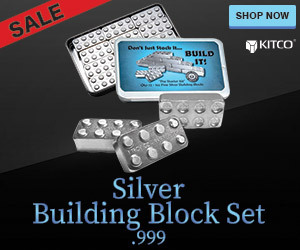 I think retail buyers are buying silver for wonderful reasons because it is cheap. I think institutional holders have been selling it because of the lack of momentum. The institutional holders are often run by managers who do not have any particular stake in their product, but really have a stake in 90-day performance and hence they are very momentum oriented, while the retail buyers, people like you and me, are perfectly willing to buy something that is cheap and throw it in the safety deposit box or bury it in their garden. My belief is that the paper markets – the futures markets – have determined the silver price for some substantial period of time. But I suggest that the physical market will ultimately lead the paper market at some point in time. CK: Thank you for that, Rick, I want to ask you about the takeover bids for the Central Gold Trust and Silver Bullion Trust. I think a lot of our listeners have been seeing press release after press release from both sides, and it seems like a little bit of a fighting match at this point. Is this going to get done? Where is at right now? RR: We believe it is going to get done. We believe we are going to prevail. We believe that is going to happen for reasons of arithmetic, if nothing else. I realize that the other side has a point of view and I realize that there has been a lot of discussion. But I think the whole discussion gets down to three particular points. The Sprott products are much better certificated proxies for precious metals than the Central products are for the simple reason that the Sprott products are in some way, shape, or form, redeemable. The competing products have traded at substantial discounts to price of metals, which makes them a very inefficient proxy for the precious metals markets. You know from personal experience, Collin, that when you buy small denominations of bullion, you do not buy them at the spot price; you would buy them at a 3.5% premium. When you sell it you do not sell it at their spot; you sell it at a discount. 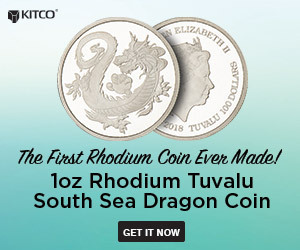 The reason that the certificated products are so popular is because they are designed to trade on the New York Stock Exchange at a sort of a quarter percent or a third of a percent spread relative to the 7% spread that bullion trades for. Both products should be able to accommodate that. Because the Sprott product is redeemable it always sells at a small premium or a small discount relative to the other product, which can sell at 10 or 12 or 15% discount. The second reason that I think that the Sprott product is a better product is because with the Sprott product you know your fiduciary. You know your manager. Sprott Inc. is a public company with a very, very transparent balance sheet. You can look it up on a 90-day basis and it is audited. The Spicer family who runs the Central product is private and they have not published their balance sheets. We do not know if it is a good balance sheet. We do not know if it is a bad balance sheet. What we do know is that the people who own precious metals often own precious metals because they are concerned about the overleveraged and opaque nature of the financial services business. Why would you buy an opaque manager when you could buy a transparent manager? I think those are the critical differences. Who runs it? How transparent they are and how efficient the vehicle is as a proxy for physical gold, silver, or platinum and palladium? And by those measures the Sprott product is clearly superior. I think the third thing really goes to managerial efficacy. This has been a very long and very expensive fight. At Sprott, the manager, Sprott Inc., has paid the legal cost of the fight. On the other side, the legal cost of the fight has come out of the corpus of the Trust. In other words, our shareholders have been spared the expense of the fight while their shareholders have paid the cost of the fight. That says a lot about the intent of the management team. CK: Okay, and let us end with the question on general equities. I do not want to ask you for any predictions on what is going to happen, but rather looking in the rearview mirror we have seen the correlation – negative correlation – between gold stocks and the general equities kind of stick and the Dow has come down and gold stocks are going up. Any significance to that? RR: There may be, but I am not prepared to opine on that. I am not a general securities analyst. When I look at the companies, as an example, that make up the S&P500. On the surface, I am fairly impressed with them. When I look at their balance sheets, when I look at their income statements, they are fairly impressive companies. The problem I have is because I am not an experienced supermarket analyst or an experienced technology analyst, I cannot tell you whether the general equities are overpriced or underpriced. I am nervous about the general economic condition, but I have been nervous about that for some years and thus far I have been blissfully wrong. I am also nervous about the fact that general equities prices are probably held up by an artificially low interest rate. I would caution your listeners to understand that precious metals stocks are stocks. My experience has been, in a general securities collapse, precious metals stocks fall with other stocks. They may recover more quickly as was the case, of course, in 2008 as a consequence of the outperformance of the metal relative to equities prices. But always remember that precious metals stocks are stocks, and a general securities market decline will also impact, at least in the near term, the prices of gold and silver stocks. Remember further that a general securities collapse that happens as a consequence of liquidity squeeze, will in the short term, also impact metals prices because the sell decisions are not made by investors. They are made by margin clerks. People do not sell what they want; they sell what they can. My belief is that if we experience that type of difficulty that the traditional value protection aspects of the physical precious metals would serve investors well. My further suspicion is that precious metals equities would recover faster than general market securities as a consequence of the strengthened metals. But understand that the period that you would suffer through would have a lot of volatility before that recovery became apparent. CK: Okay, Rick, on that note, thank you so much for joining us again. Do you have anything to add? CK: Okay, thanks so much.